Hand-helds are portable calibration instruments for mobile use for the accurate measurement and recording of temperature profiles. For the instruments there are various designs of thermometers available. Through this, hand-helds are particularly suitable as test instruments for a large variety of applications in the widest range of industries. Data recorded in the hand-held can be evaluated via PC software. Some instruments document calibrations in the internal memory, which can later be read on a PC. 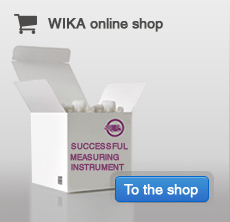 Optionally, a calibration certificate can be generated with our calibration software WIKA-CAL. What is a SMART probe? © 2019 WIKA Croatia d.o.o.